Executive Committee members are elected by the members of the Acadia Commandery of the Order of Saint Lazarus, Grand Priory in Canada to provide leadership and direct the Commandery in fulfilling its mission and vision. Executive Committee members are elected to their position. Dennice was born and raised in Edmonton, Alberta, received her BA from Mount Saint Vincent University, Halifax, Nova Scotia and studied at various institutions including Harvard. She started in banking, working for two banks before joining RBC Financial Group. From a junior clerk, she rose through Human Resources, Corporate Banking and Independent Business to be Regional President of Manitoba, Nunavut and North-western Ontario, retiring as Senior Vice President and Ombudsman for the organization's employees and customers world-wide. Volunteering throughout her career, she sat on Hospital, University, College, Aboriginal, Government, Cultural Institution and Community Boards. In June 2005 she was named a Member of the Order of Canada, in 2012 she received the Queen’s Diamond Jubilee Medal, and in May 2014, she was honoured with Honorary Doctorate in Human Letters from Mount Saint Vincent University, her alma mater. Neil was President of KeySpan Energy Development Corp. from 1997 to 2004 and Senior Vice President of KeySpan Corporation from December 1998 to December 2004. Prior to joining KeySpan, Mr. Nichols was an owner and President of Corrosion Interventions, Ltd. and was Chief Financial Officer and Executive Vice President of TransCanada Pipeline Limited. 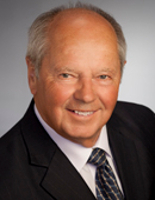 He is Chair of the board of the Digby and Area Health Services charitable foundation. A director of Keyera Corporation from 2003 to 2016 and chair of the audit committee and member of the Human Resources and compensation committee. 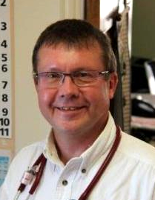 Dr. Buchholz is a rural Family and Emergency Physician from the Annapolis Valley in Nova Scotia. He is a graduate of Dalhousie University Faculty of Medicine (1980) and holds both his CCFP (1990) and FCFP (2004) in Family Medicine. As Medical Director for Medavie EMS Group, he supported paramedics in Nova Scotia, New Brunswick, Prince Edward Island, Ontario and Alberta. During this time, Medavie EMS saw rapid expansion into Ontario and Alberta, and integrated its two paramedic schools into Medavie HealthEd. He also assisted in the development of Medavie’s Air Repatriation program and the provincial physician locum program. 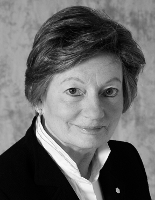 Dr. Buchholz is an advisor with Nova Scotia 811 Clinical Advisory Committee. Dr. Buchholz is a faculty member and rural preceptor with Dalhousie University Faculty of Medicine. He is a senior instructor/instructor trainer with the Heart and Stroke Foundation and is an instructor/instructor trainer with the Nova Scotia Trauma Program Advanced Trauma Life Support Program. The Reverend Canon David R. Staples, born at Fredericton, 1950, is a seventh generation descendant of an English ancestor who arrived in British North America in 1758 at the reduction of Fortress Louisbourg. An Anglican priest, he was Canon of Christ Church Cathedral and formerly Rector of St. Peter's Fredericton, and the Parish of Rothesay. The Rev. Canon Staples studied history, art, finance, theology, and music at six post secondary institutions. 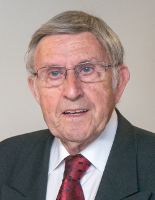 He also served as chairman or executive member of: Friends of the Beaverbrook Art Gallery, the Fredericton Center of the Royal Canadian College of Organists, Aids New Brunswick, The York Sunbury Museum, the Atlantic Chapter of the FRSA, The Board of Governors of the University of King's College. 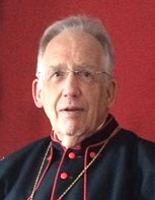 He was invested into the Order of Saint Lazarus of Jerusalem in 1998. Born in Grande-Digue, NB, Bernard studied arts at the Unversity of Saint Joseph and in Public Administration at the University of Moncton. He was managing editor and Chief Editorial writer at the French Daily newspaper L’Évangeline in Moncton, N.-B. 1957-1967. 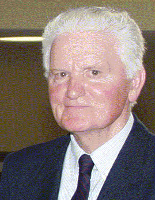 He was also the Official Languages Director for the province of New Brunswick, and founding president for the Centre communautaire Sainte-Anne (Fredericton), Ste-Anne-des-Pays-Bas – First French Catholic Parish, Greater Fredericton and Société d’histoire de la Rivière Saint-John (St. John River Historical Society). His professional career also allowed him to be a member of several boards in New Brunswick and Commissions in NS, NB and NFL. A great passion of his is choir singing, which he has done for more than 50 years. Lastly, named to the Order of Canada in 1980 and received Honorary Doctor Degree (in Letters) B.ès L) Université de Moncton in 1988.